Radial tires have become the norm for today’s passenger cars. Radial tires are great because of the more flexible sidewalls, lower rolling resistance, better tire life, and overall softer ride compared to bias-ply tires. There are now various radial tires designed especially for all-season performance, available in multiple price ranges. If you are now looking for an affordable all-season tire, you are most probably confused between two Goodyear models at the moment: Integrity and Viva 2. Both are all-season tires that are quite affordable. They also seem quite similar. So, what is actually the difference between Goodyear Integrity vs Viva 2? Continue reading below to determine the right choice. First of all, let’s see the available tire sizes of Goodyear Integrity vs Viva 2. Although they seem to be similar, they are actually sold in different sizes. Goodyear Integrity provides a total of six tire sizes, which are P185/55R15, P205/65R15, P215/70R15, P225/60R16, P235/70R16, and P225/65R17. 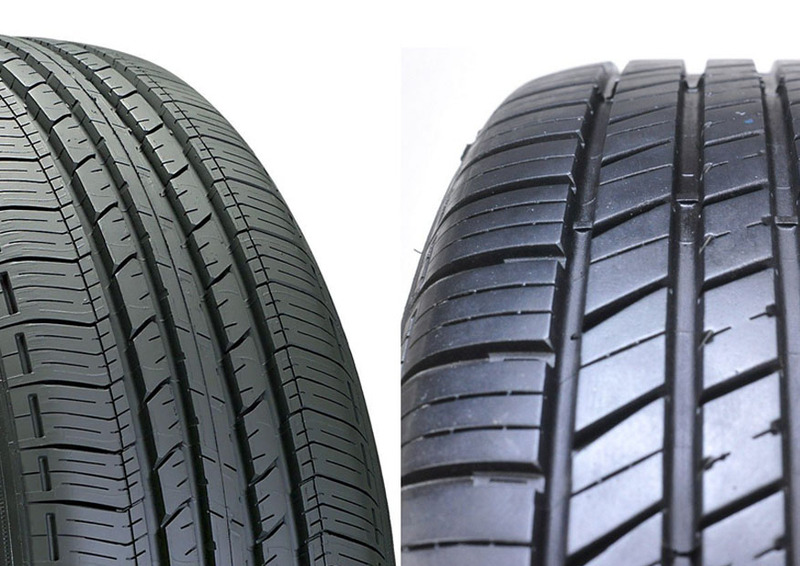 We compared Goodyear Integrity to Goodyear Forterain a previous post Goodyear Integrity vs Fortera, so don’t forget to check it out. On the other hand, Goodyear Viva 2 also provides six tire sizes, but they are only suitable for two wheel diameters which are 14” and 15”. To be more precise, here are the tire sizes: P185/70R14, P195/70R14, P205/75R14, P185/60R15, P205/75R15, and P215/65R15. As you can see, Goodyear Integrity has the sizes for larger wheel diameters, which are 15”, 16”, and 17”. There is no 14” size. On the other hand, Goodyear Viva 2 has the sizes for 14” and 15” but it has no option for larger wheel diameters. So, make sure that you choose a suitable tire size that fits your car properly. Goodyear Integrity is quite popular on the market mainly because it has been used as an OEM part of many sedans, coupes, minivans, and other vehicles throughout the years. Because of this reason, we can assume that it is a good quality tire. That being said, do not expect it to perform like a top-notch racing tire. Goodyear Integrity is constructed using a special all-season tread compound which provides enhanced traction on various road conditions. It is further reinforced by two steel belts and a polyester cord body for high-speed stability and durability. On the tread surface, you can find the symmetrical tread pattern which lowers the rolling resistance and consequently promotes the overall fuel efficiency. There is also a continuous center rib that improves the dry traction, steering response, and feel. It also features circumferential grooves, independent shoulder blocks, and siped intermediate blocks which are all designed to promote the handling and traction on wet roads and snow. The tire comes with a 50,000-mile tread life warranty. Well, let’s not forget that this is a budget tire, so we can’t really put high hopes on it. For sure, the ride is good. It rolls smoothly and quietly, so it is generally a comfortable tire to ride on. Furthermore, it has a low rolling resistance which can slightly reduce the frequency of you going to the gas station. However, the dry and wet traction is just okay. There is nothing impressive regarding the performance. It grips well on dry roads. It resists hydroplaning to a good degree, but you still have to reduce your speed when driving on a rainy day if you don’t want to lose control. Despite being an all-season tire, the snow traction isn’t very reliable. You don’t want to drive on this tire unless you really need to. The construction of Goodyear Integrity is pretty durable. However, the tread surface tends to wear off fairly quickly. It is a good thing that the tire comes with a good tread life warranty, but this tire will not last for very long. On the other hand, Goodyear Viva 2 is available at an even lower price point. This tire basically serves as a low-end model. It is produced by the company to be sold at Walmart stores. The affordability is its main selling point. Nevertheless, this tire is equipped with several notable features that can help it stand the competition. It features segmented tread lugs that are designed for all-season traction. The randomized tread element progression and optimized tread pitch are aimed to provide a quiet ride. On the tread surface, you can find four wide circumferential channels for water evacuation. The shoulder lugs also have deeper sipes which allow the tire to throw away water more effectively. Interestingly, Goodyear Viva 2 is actually equipped with a longer tread life warranty which goes for 60,000 miles. So, how do Goodyear Integrity vs Viva 2 tires compare in terms of performance? Actually, Goodyear Viva 2 also offers a smooth and quiet ride. It is also a comfortable tire. And, to be fair, the tire has received many positive reviews from the users. But it has also received many negative reviews. The biggest concern is the durability. It tends to produce uneven tread wear, and it also tends to wear off quickly. Some users have even reported their tires’ sidewalls separating when driving at high speeds. If such thing happens to other people, there is a chance that the same thing will happen to you. There are also concerns regarding slow leaks and cracking. The traction is not impressive. It is usable on dry roads. Hypothetically, the side sipes will allow better water evacuation to improve the wet traction. However the performance on wet roads and snow is still relatively poor. As the conclusion, between Goodyear Integrity vs Viva 2, we recommend you to choose the first model. Goodyear Integrity still makes a better choice. It is good on dry roads and usable on wet roads. It is comfortable, and it can slightly improve the fuel efficiency. Although the tread surface isn’t very resistant to wear, the tire as a whole is quite durable. On the other hand, Goodyear Viva 2 is not recommended because of the durability issues. The tire’s sidewall may separate from the tire at high speeds. The traction is not very good on wet roads and snow.